It’s Day Twelve of National Sewing Month! Too see the daily blog posts, projects of the day, and more National Sewing Month details, click here. With us today is Judi from Love to Sew Studio. 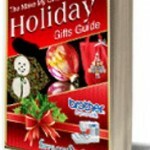 Judi is the brains behind some of your favorite and festive sewing projects on AllFreeSewing which you can find here. 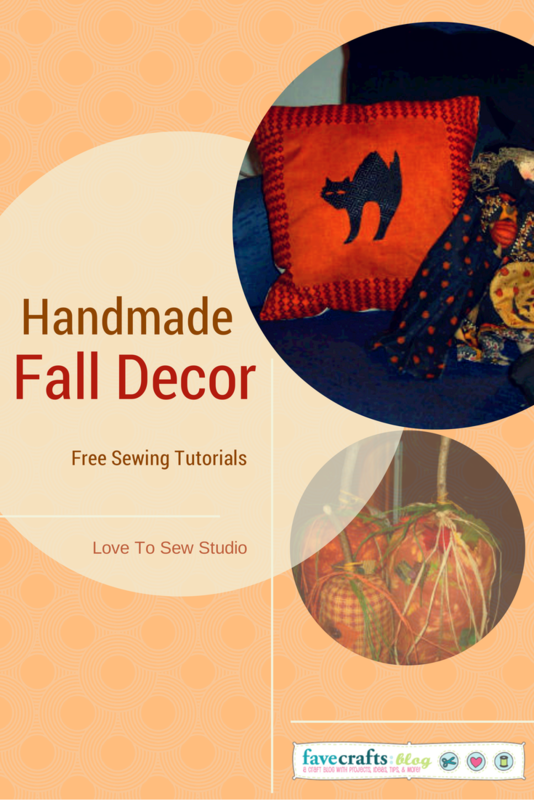 Autumn is my favorite time of year to sew and decorate. The crisp weather, falling leaves, warm apple cider, scary stories, and carved pumpkins feel magical every year, no matter how old I get. Decorating both the outside and the inside of my house for the harvest season and Halloween has been a favorite ritual from my childhood that I have passed down to my children. Hand-making decorations to give to friends and family (and adorn my own house!) is my favorite way to spend a cold autumn day. When my children were little, I worked into the night, sewing original crafts and decorations to prepare for craft shows and community fairs where I would sell my creations. The DIY, step-by-step photographed tutorials below will teach you how to make two of my most popular autumn crafts. I hope you enjoy making them and displaying them! The simplicity of a black cat silhouetted against solid orange is a classic Halloween image! 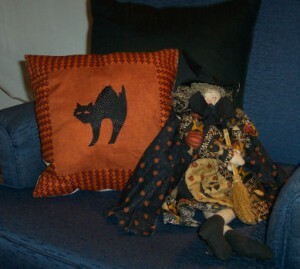 Here, you can use the same instructions to make this into a Halloween pillow or a Mini Decorative Halloween Quilt. Shown is the pillow, and the same craft as a Decorative Quilt or Table Topper. 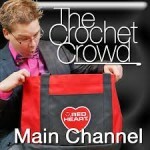 Now you can make my number one selling craft item of all time! In the 20 years of selling my handmade holiday crafts, these quick and easy to sew pumpkins were the hottest item. Nobody just buys one! I made them in many different sizes. 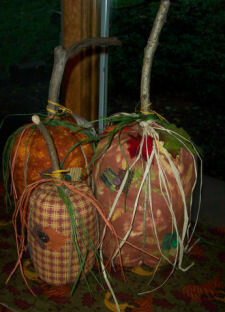 These rustic fabric pumpkins can be displayed the whole fall season and into Thanksgiving! 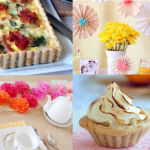 Remember to visit Judi’s blog, Love to Sew Studio for more lovely ideas! What is your favorite fall craft to sew? Wow, thank you so much for sharing such great ideas!! I love to make table runners for all the seasons and holidays. So much fun!!! 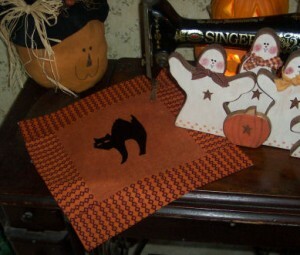 My favorite fall sewing project which I have done are some pumpkin table runners. I have also made some fabric pumpkins which I have been thinking I would like to make more of. Finger puppets are funny to make and the children loves them. I make a lot of them and then donate them to the lab. They hand them out to the kids that need to have blood tests. I would love to make some fall placemats and a table runner. I am new to quilting but I made a pumpkin wall hanging this year with my sister she and I call them our sister projects. My favorite fall project is making Halloween costumes. They are a so cute, and a lot of fun to make. I have downloaded several of your pdf e-books. I have made several different patterns of purses. Love free sewing keep the projects coming. My Granny made us wonderful quilts like this and we treasure them still today! Thank you for wonderful ideas and clear steps with photos. Thank you very much for providing them Free!